We’re a Licensed, Bonded and Insured. 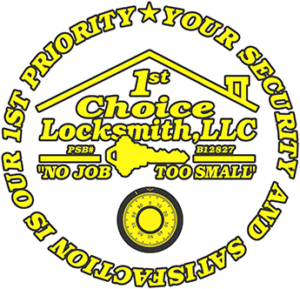 We’re family owned locksmith company that has serviced Katy, Texas as well as the surrounding cities of Houston, Texas for over 20 years! We friendly and we care about the well being of our customers and their belongs! We have an old family heirloom safe, can you open it? Yes We’re Professional Safe Openers, Our trained locksmiths are equipped to manipulated any type of safe and/or simply change your safe combination. New home should we change our keys/locks? Yes, for the safety of your personal belongs and your loved ones, we do recommend you changing the locks or at least have them rekeyed. Make sure that you give the new key to your landlord if you have one. I’ve lost my keys, can you make me a new one? Usually a key code is accessible. You will have to retrieve this code if you’re the original owner of the keys. This code is commonly on the auto dealership receipt. However, we are able to get a key made and fitted without this code but it does cost extra. Is My Lock Service Needs Too Small/Too Big? My key says “Do Not Duplicate.” Can I get a copy of it anyway? Keys that are marked “Do Not Duplicate” or a like, can be duplicated. However, we would need a “Letter of Authorization” from the owner of the key. Also, the letter needs to be notarized and the author of the letter must state who has authorization to duplicate the key and how many keys are authorized and a picture I.D. needs to be presented from both parties. The person picking up the keys will be required to fill out a “Request for Restricted Keys” form. We do reserve the right to refuse to duplicate any keys, for any reason we deem reasonable.